Intimate knowledge of the TARDIS is not required to enjoy this bittersweet comedy of parenting through sci-fi evangelism: Hadoke's compelling and incisive shows have wide appeal. This Chortle Awards 2012 nominee has an acid tongue and a warm heart. 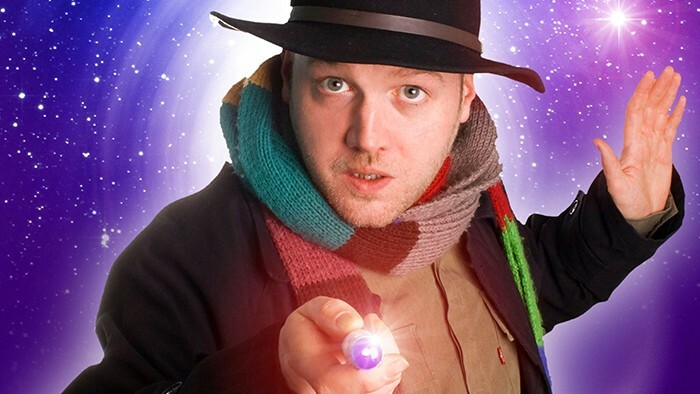 Join Toby as he takes you on a heart-warming journey that begins with losing a partner, ends with gaining a stepson and pays homage to the restorative powers of the Time Lord in between. Toby Hadoke’s long-awaited sequel to his Sony Gold Award nominated Moths Ate My Doctor Who Scarf.